I sketched out a profile and did the cutting in parallel. I shot a screw through the layers to hold them together while cutting. 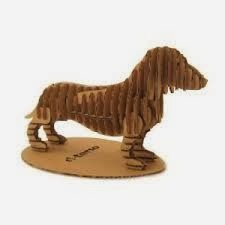 perhaps more easily done on a laser cutter. 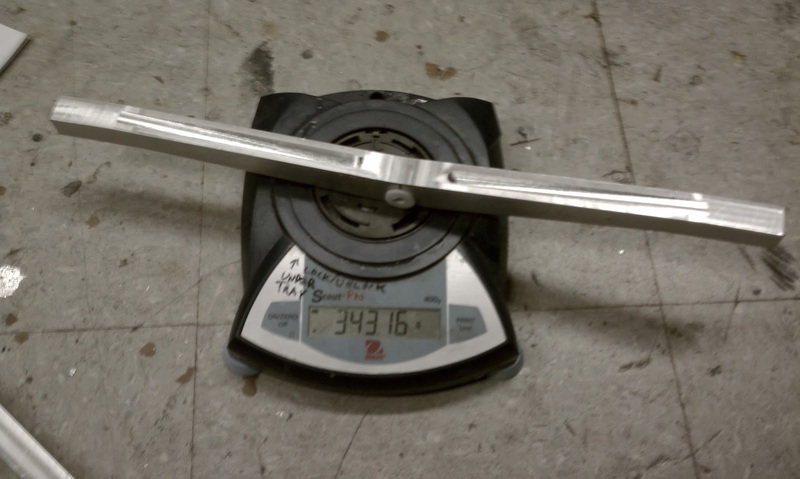 using ratcheting straps, I tested to see what would happen under load. I tried a sandwich of three pieces of 3/16" spruce-pine-fir (i.e. low grade) plywood. The form didn't like that. The sections were not attached to one another with sufficient rigidity. I added more sections of rod to provide increased compressive strength where the straps attached. 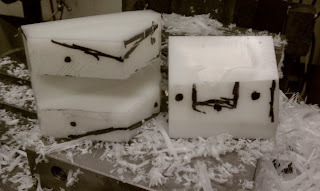 I also glued a piece of the thin ply to each of the mold halves. 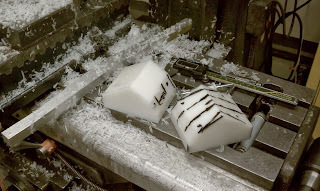 While that set up, I started machining the trucks. 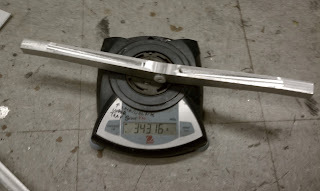 I found a piece of 0.75" x 1.75" aluminum extrusion and drafted a shape which optimized for cross-sectional area of the finished product while avoiding all of the previous machining that had been done to it. 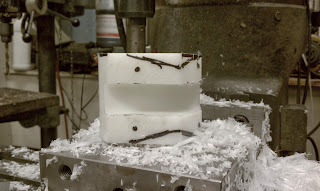 After bisecting the slab on the bandsaw, I started machining in parallel on the mill. All of the angles I got by wedging tidbits of material underneath one end of the parallels while clamping the workpiece in the vise. The more legit way of doing this might involve the use of a sine bar. The big end mill is known as a shell cutter because it is hollow and mounts on an R8 shank arbor. 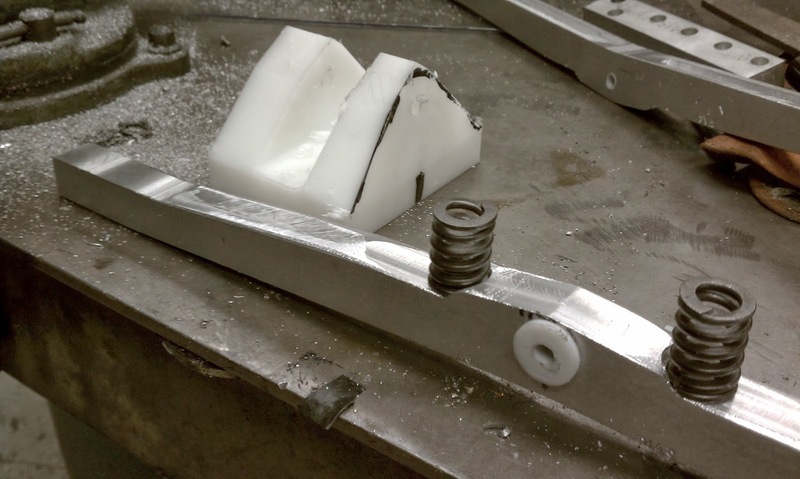 I was surprised how cool the work and the tool stayed during machining. The local temperatures seemed high, indicated by the 'hot metal and burning lube smell,' but the tool and material were cool. The chips as they came off were quite hot. yep, definitely not a 3D printer. This thick layer of chips is indicative of subtractive machining. I debated pocketing the axles to make them a bit lighter. I'd never done any Finite Element Analysis before, so I fed dimensions to Autodesk Inventor until it puked rainbow beams. I decided to pocket another day. With the axles roughed out, I sized up a hunk of plastic that used to live in the Putz closet. It machined like HDPE. This hunk will become upper brackets which hold the axles and mount to the deck. Again, I find the best way of designing with stock of unknown dimensions is to sketch right on the part. 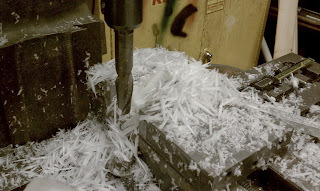 the slots were done in a single pass with an enormous two flute 1" end mill. The corner chamfer on this cutter is about 1/8"
I machined a little plastic sleeve bearing for the 1/4" kingpin that will constrain the axle to the plastic bracket. I also milled slots for the springs to sit in. I found this scale on a loading dock. Perhaps that's why it thinks that pocketing this part made it 150g heavier. The last swapfest of the season happened. I bought some tiny tooling for the winter months. The deck is a story of great sadness and turmoil. Not pictured here is attempt #1, a downright failure at composite layup and forethought. Epoxy fail, not enough hardener, waste of nice crufted carbon fiber weave. I should have practiced on something less nice first. fiberglass? sheet. About 1/8" thick, pretty flexible. trimmed to size, so that it might fit in the belly of the beast.